There are three reasons why you would be in search of marketing tips and ideas as an association; to attract new members, to acquire event attendees or to attract sponsors. These three factors combined are the foundation of any successful association and any successful event. There are many marketing techniques at your disposal. But in the age of the influencer, it strikes me as peculiar that influencer marketing is greatly absent in the MICE industry. 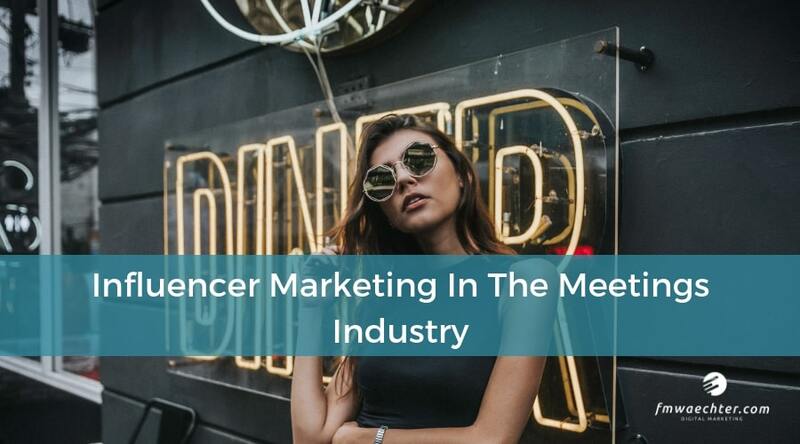 Influencer marketing is a hyper-trend used by a broad spectrum of companies, from tech giants and start-ups to fashion houses and food companies. In the meetings industry, however, we are only just starting to catch on. In a survey conducted by EventMB’s 2018 State of the Event Industry which had 2,223 respondents, a mere 24.6 per cent of planners stated that they are considering investing in influencer marketing, while 32.6 percent said they do not intend to at all, which left 42.8 per cent of them stating they have no idea. Influencer marketing is a variety of marketing where the focus is on influential people rather than on a brands target market as a whole across social media. It is the utilisation of individuals who have influence over potential customers for marketing purposes. Now, the difference between paid advertising and influencer marketing is that the latter has an invested audience whom they have accumulated organically. Their audience is made up of individuals that respond to the content they share. Not only that, but the content shared shapes their perceptions, moulding their personal goals, ambitions and perception of true living. How does this pertain to the meetings industry? Through the use of influencers, associations and event planners can tap into a niche, industry-specific markets. The markets you need to speak to and engage in order to garner new members and event attendees. By utilising certain influencers, you will be targeting an audience that is already active and receptive to certain subjects. By harnessing these already established relationships, it will stretch your social media reach further than simply posting content online and setting up a paid advertising strategy to support it. Associations need reach, and influencers have it – genuine reach. Meeting planners need to engage attendees, and influencers can do it on their behalf. With credible influencers, their audiences will more than likely lap up any information by that particular individual. So, this means better results. Even though you will pay for it, the reach is much more credible and authentic than simply setting up paid advertisements. According to Word of MICE, 81% of consumers’ purchase decisions are directly influenced by social media posts. The meeting industry is slowly catching on in terms of realising where their audiences reside. However, they need to make up for lost time concerning the benefits of influencer marketing. Now, let us delve a little deeper. Influencers share their experiences and products. They generate and post creative content through a wide array of platforms such as video, blog, social media posts etc in order to raise awareness or foster interest in their activities and interests, tapping into a like-minded community. Therefore, influencers form part of the community that they engage with and act as a reliable connection between brands and consumers. They provide a practical perspective to their network. It is a combination of marketing and PR, except more human. How do you find influencers for the meetings industry? This is reliant on what type of event you are going to organise and manage. Some events may require micro-influencers which are more niche for accessing more specialised markets. If you are hosting an event that is more general and business orientated, these influencers could be on LinkedIn. In order to source such individuals, you will need to conduct extensive research. Look for individuals who share articles on best practices and trends or have active, engaging conversations online that are relevant to the industry you are targeting. Technology offers a vast range of innovative social tools that will help you to not only identify and engage with credible, industry-specific influencers but also help you build, organise and track an identification strategy. Influencers can be just as, if not more effective than a revered industry spokesperson with regards to attracting interest in your meeting. This is of course down to their authenticity, relevance and following. Potential attendees of an event or meeting are often looking for reassurance from people they trust before committing. You will discover that there are authentic, powerful individuals out there that are passionate about elevating the profile of the meetings industry. It is just a matter of finding and building mutually beneficial relationships with them. If you are looking for expert advice on event planning and management, get in touch with me today. We offer solutions specifically tailored to multiple sectors in the MICE Industry.